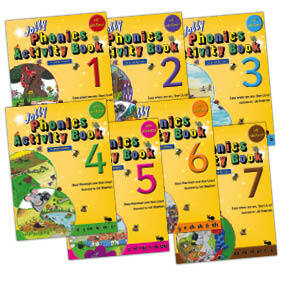 Jolly Phonics resources just for the home. Nurture key literacy skills at home with My Jolly Phonics. This kit provides a range of multi-sensory resources that help your child learn to read and write in a fun and engaging way. These 7 fun-filled activity books allow your child to discover the letter sounds and how to use with the help of Inky Mouse and her friends. Each book includes 2 pages of stickers and tips and guidance. Packed with games, coloring, mazes, handwriting practice and craft activities. 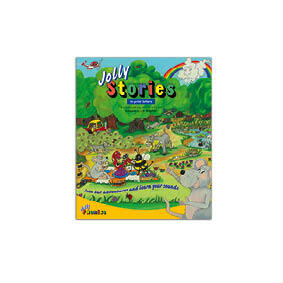 Let your child join the fun adventures of Inky Mouse and friends through seven enchanting stories as they learn all the letter sounds in this beautifully illustrated board book. 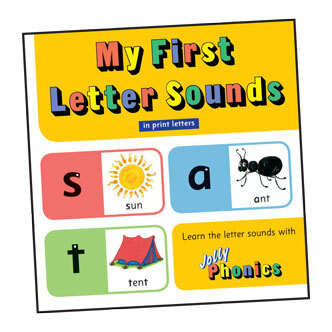 With My First Letter Sounds, your child will be introduced to all of the 42 letter sounds, not just the alphabet in this colorful board book.